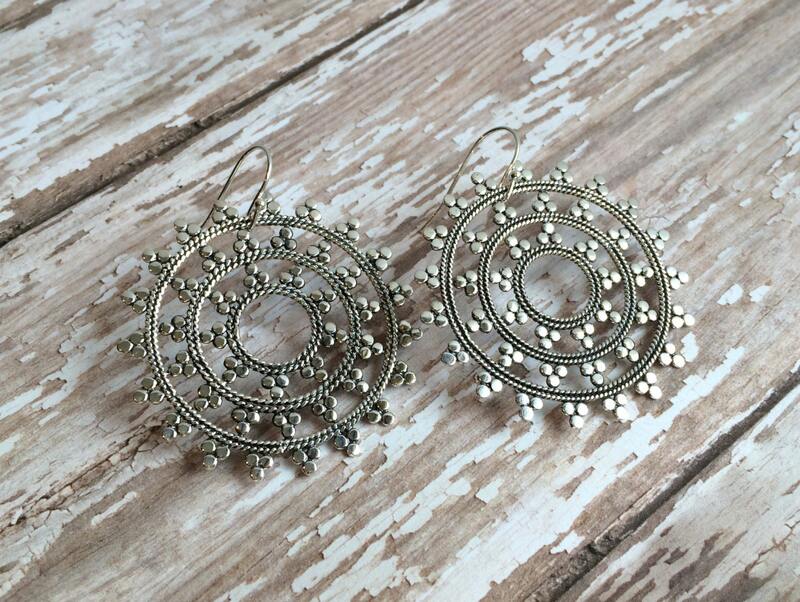 There's nothing shy about these gorgeous sterling earrings. The detail is incredible and the oxidation of the silver gives it a wonderful character to the metal. * Sterling silver snowflakes measure 1 1/4" each. 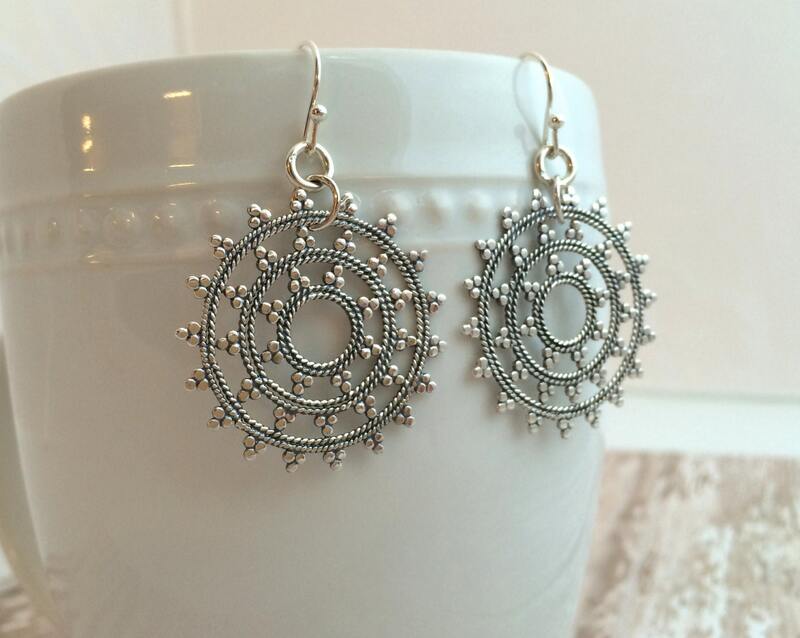 * On Sterling silver French ear wires for a comfortable fit. 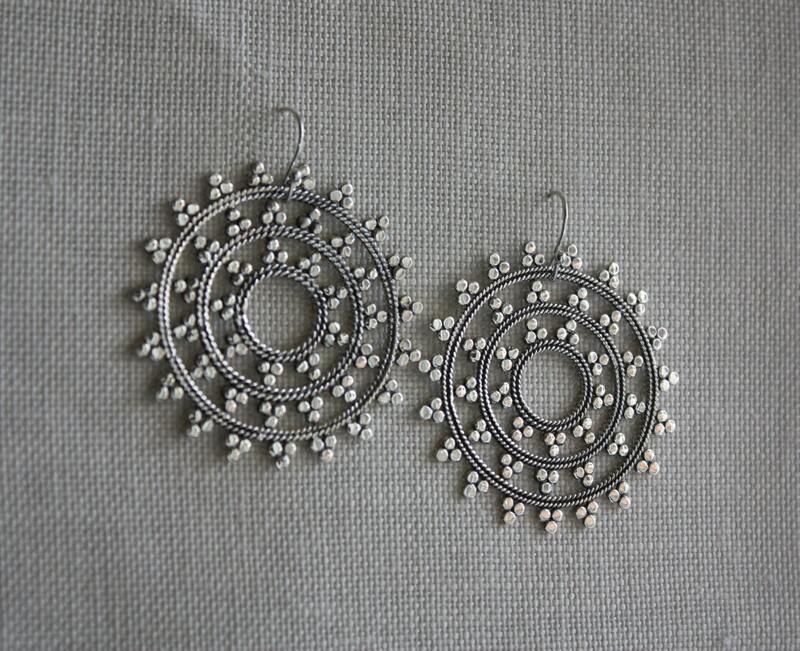 * This listing is for the medium size earrings shown in the last picture. 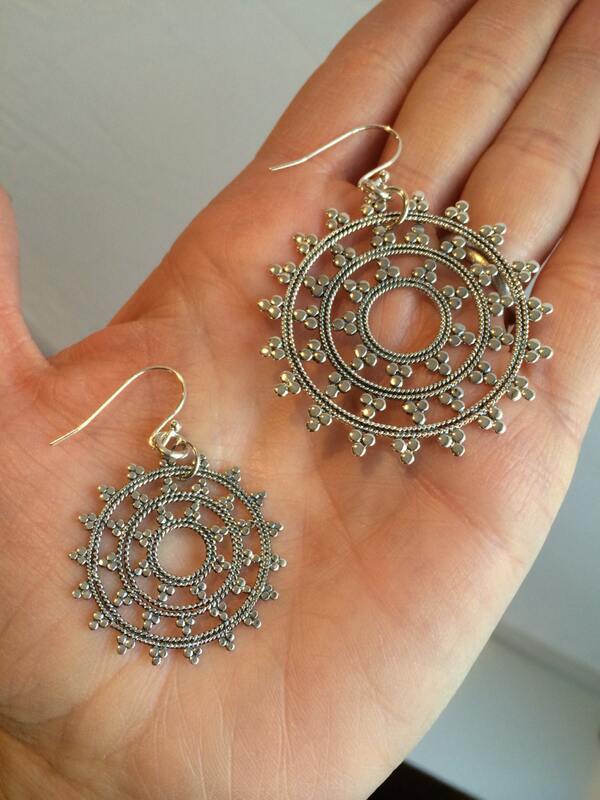 Please look at the pictures to give you a sense of the scale of these earrings. 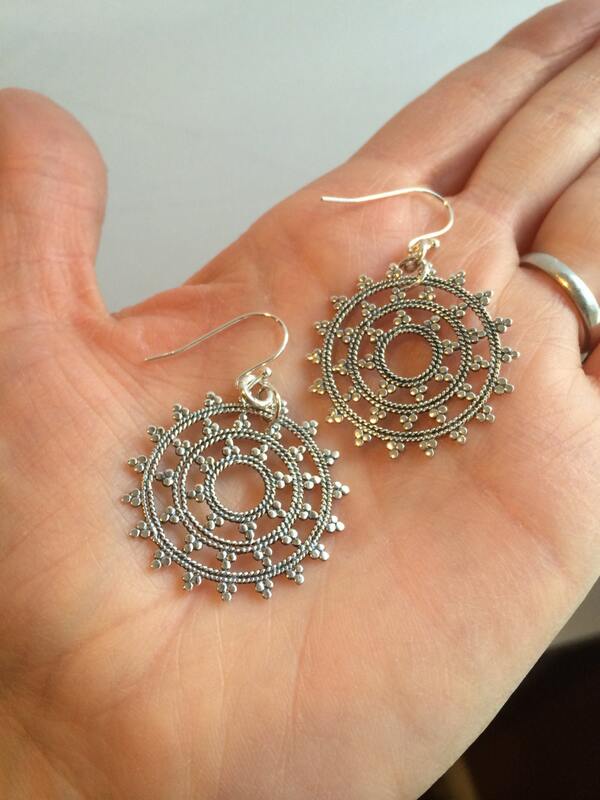 The larger size snowflake earrings are also available at my Etsy store.